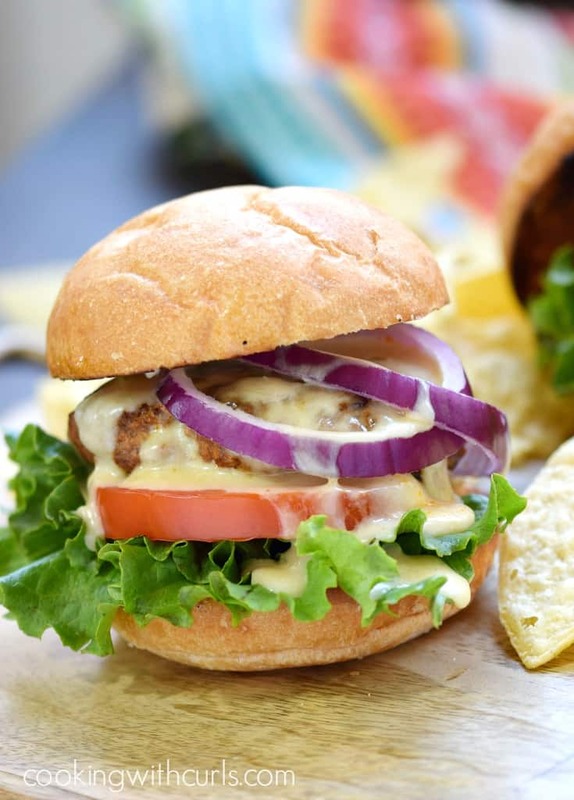 Who is ready to take their taste buds south of the border with these flavorful Tex-Mex Burgers? 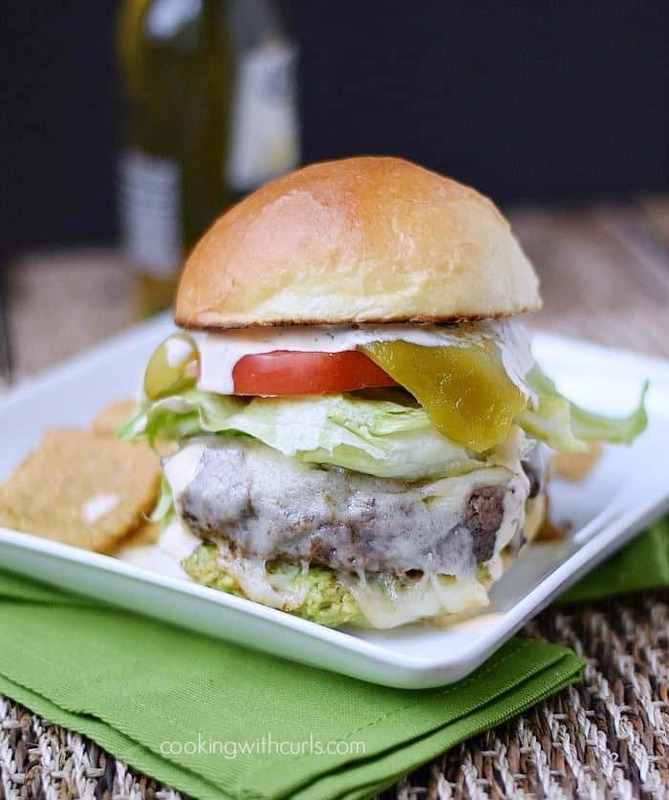 The tomatoes in the salsa add moisture, the jalapeno and cumin add the quintessential Tex-Mex flavors that we all know and love, and cheese…well the cheese ties all the flavors together and creates an amazing burger that the whole family will love….. I started with Homemade Hamburger Buns, but bakery buns work great as well. I used my super easy Restaurant-Style Blender Salsa, but Pico de Gallo or store bought salsa will work too. I will keep explaining as we go. 🙂 In a large mixing bowl, combine the ground beef, salsa, and cumin together…..
Divide into equal four portions, and form into patties. Cook burgers over medium-high heat for 4 minutes, flip and continue to cook until barely any pink remains…..
Top each burger patty with cheese, cover with a lid and cook until the cheese has melted….. 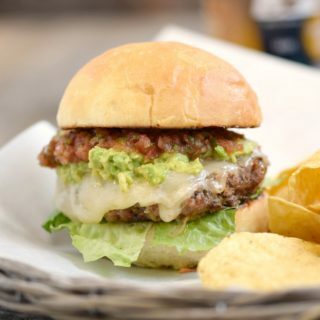 Serve the Tex-Mex Burgers on toasted buns with lettuce and topped with the mashed avocado and additional salsa…..
Oh my goodness these Tex-Mex Burgers are delicious!! To make your burgers spicier: Use Pepper Jack Cheese. Use spicy salsa. Add cayenne powder with the cumin. 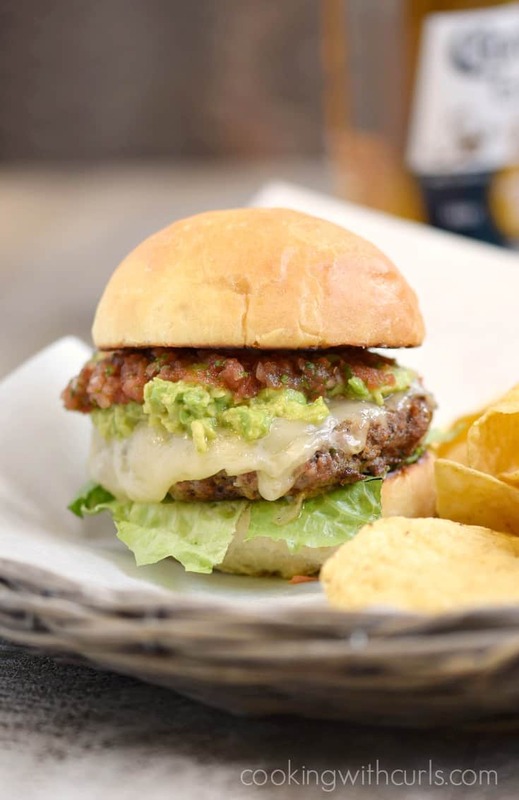 The salsa will add moisture to your finished burgers, so make sure your salsa is on the “dry” side. I scooped it out with a fork and let it drip for a bit to get as little liquid as possible. 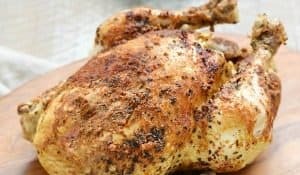 I used grated Monterrey Jack cheese because that was what I had on hand. 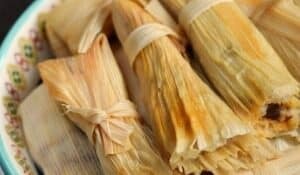 Grated or sliced both work great. Do not forget the napkins! 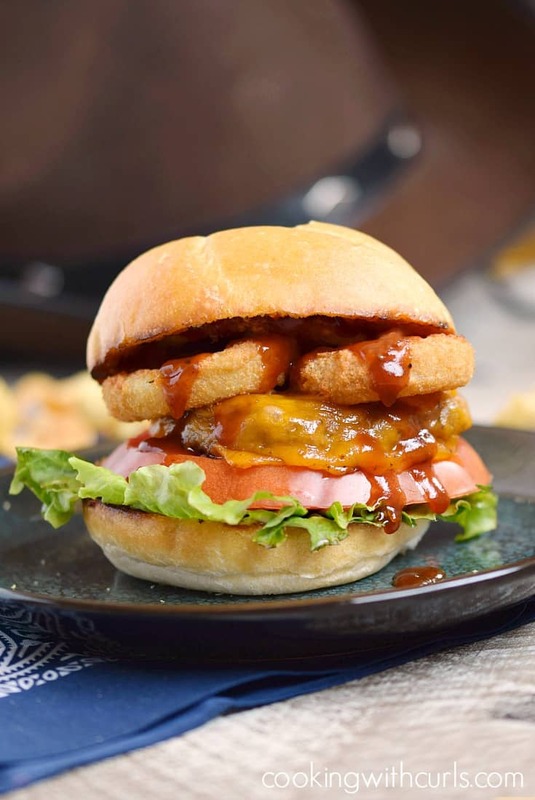 Some other delicious burgers for your consideration include…..
Take your taste buds south of the border with these flavorful Tex-Mex Burgers, and you get to make them as spicy as you like! 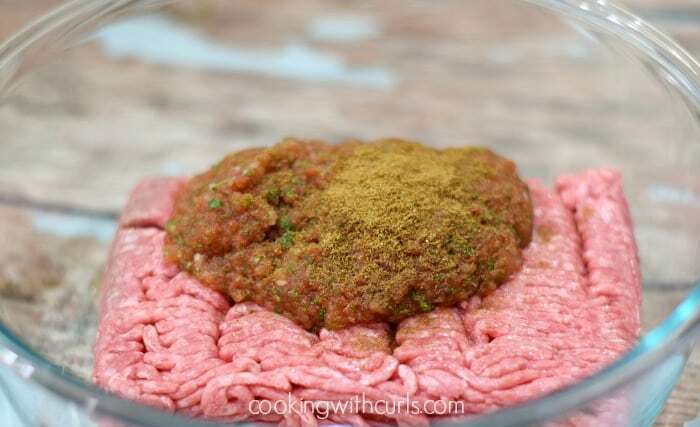 In a large mixing bowl, combine the ground beef, salsa, and cumin together. 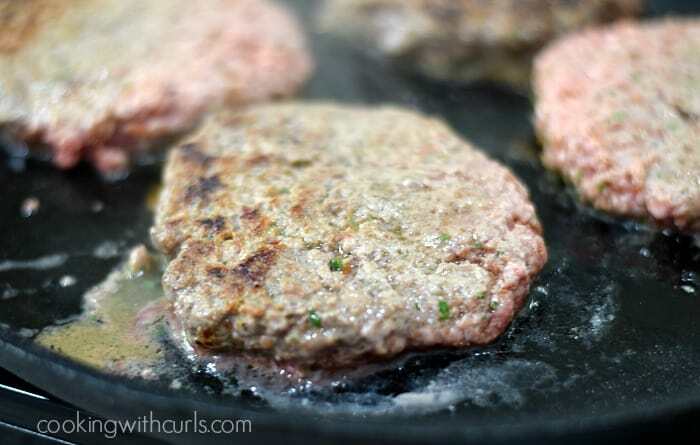 Cook burgers over medium-high heat for 4 minutes, flip and continue to cook until barely any pink remains. 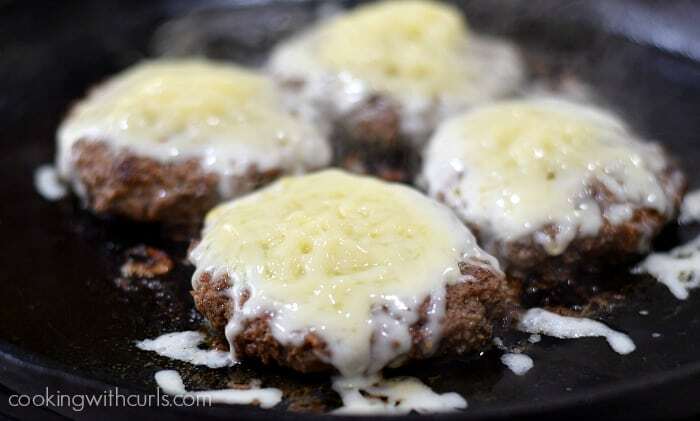 Top each burger patty with cheese, cover with a lid and cook until the cheese has melted. 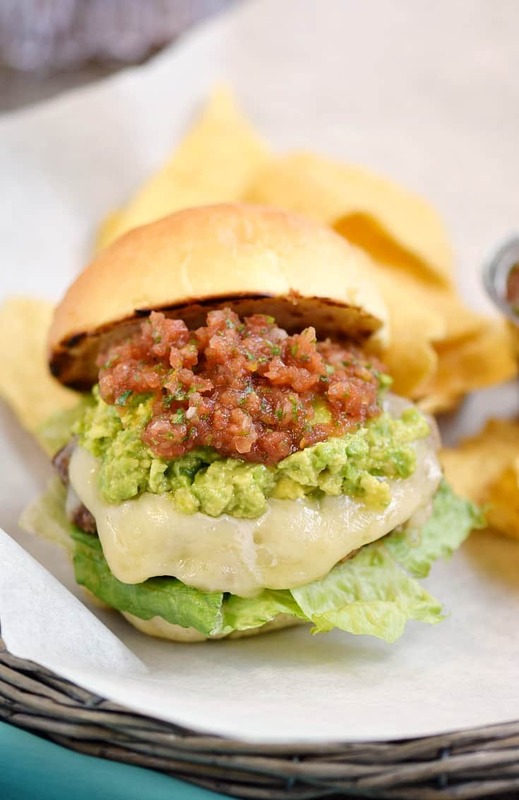 Serve the Tex-Mex Burgers on toasted buns with lettuce and topped with the mashed avocado and additional salsa. 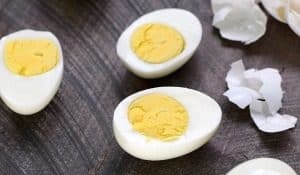 This recipe will be partying at these link parties!